A vivid political history of the manifold schemes, plots, and conspiracies to remove unwanted presidents, from the founding fathers to today’s headlines. To limit executive power, the Founding Fathers created fixed presidential terms of four years, giving voters regular opportunities to remove their leaders. Americans cleverly discovered less orderly paths for disempowering chief executives: undermining their authority, striking preemptively to derail presidential candidacies, assassination, impeachment, resignation, and declaration of inability. Although the United States has gone decades without the most dramatic forms of presidential removal–assassination or resignation–getting rid of a president or a potential president is political reality. Just ask our most recent not-president, Hillary Clinton. 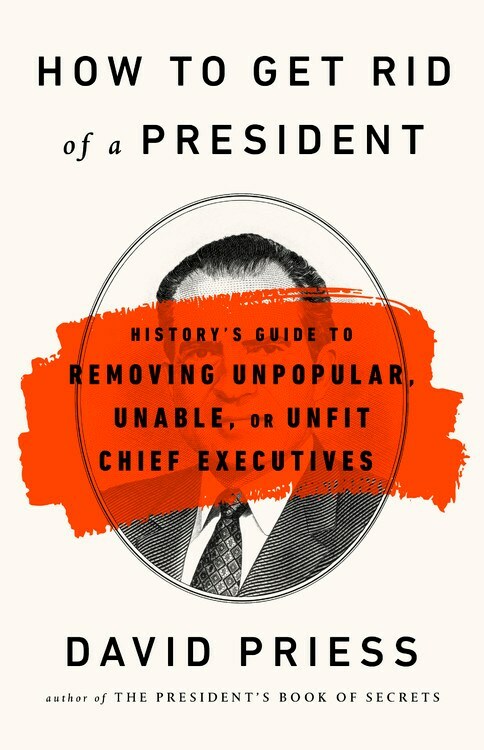 How To Get Rid of a President presents the dark side of our nation’s political history, from the Constitutional Convention into the 21st century, mixing a stew of election dramas, national tragedies, and presidential exits with party intrigue, political betrayal, and backroom scheming. It is a briskly paced, darkly humorous voyage through historical events relevant to today’s historic times, highlighting the many ways that presidents have been undermined and nearly kicked out. Each method of removal offers opportunities and dangers for the republic, and the thorny ethical issues that surround the choice to resist, disobey, or eject a president. David Priess is author of the The President’s Book of Secrets: The Untold Story of Intelligence Briefings to America’s Presidents. He has a PhD in Political Science from Duke University and served at the CIA during the presidencies of Bill Clinton and George W. Bush as an intelligence officer, manager, and daily intelligence briefer and at the State Department. Priess writes, speaks, and appears often on broadcast media about the presidency and national security.